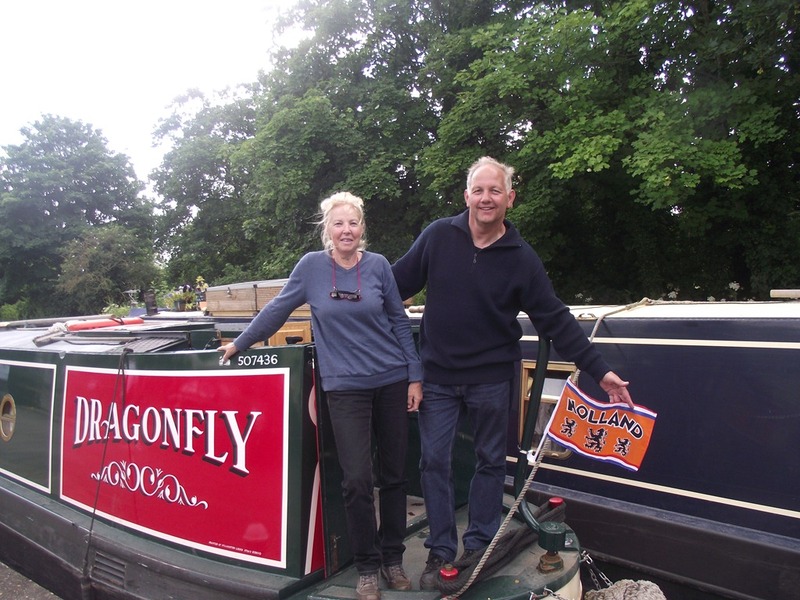 We arranged to leave with our Dutch friends, Marion & Geerhard, on Dragonfly at 9am and we left promptly leaving the Metropolitan Line behind (never a train around when you need one for a photo, they were every 5 minutes last evening!) We made our accustomed rapid progress with them through 11 locks. At Copper Mill Lock we watched the Fire Brigade practicing rescues from the Weir, no doubt of all the canoeists fall in if that’s a slalom course, but by the time we got there they had packed up. 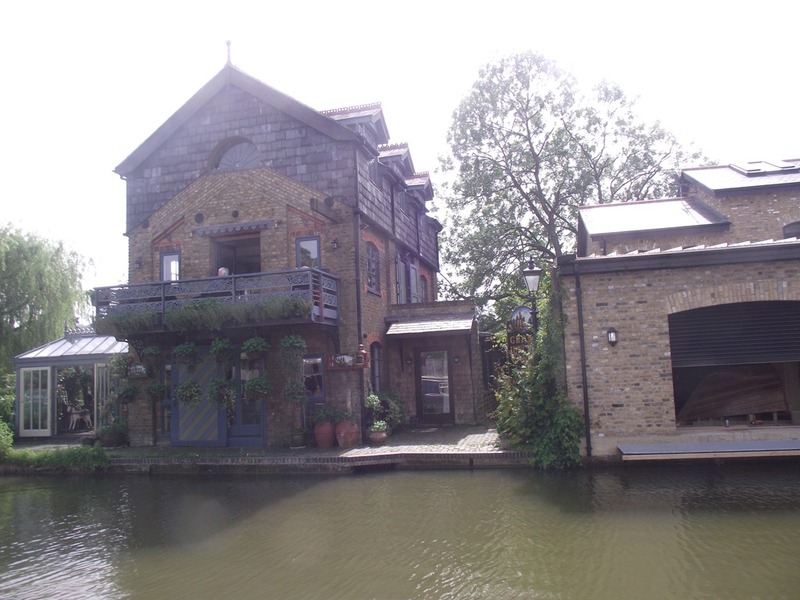 Along the section of canal that follows we saw a selection of weird and wonderful boats ranging from common or garden houseboats to what reminded me of a floating Swiss cottage. There were converted BW workboats one flat (I think that’s the term) literally had an old residential caravan on top of it, oh did I mention the monkey hanging from a crane at a derelict factory? 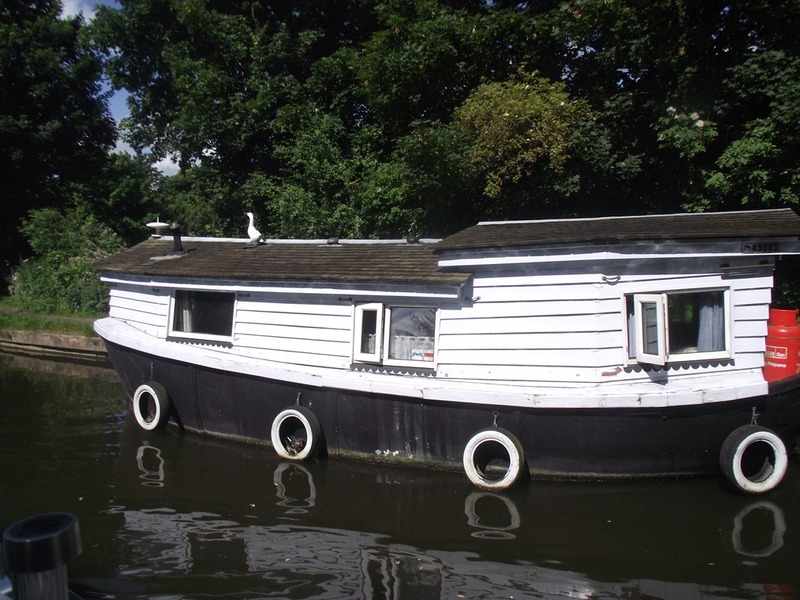 There was also a kind-of marine low loader with another boat inside it and narrowboat with a Sternwheeler conversion, which seemed to have been functional as there was a chain drive to the engine bay. 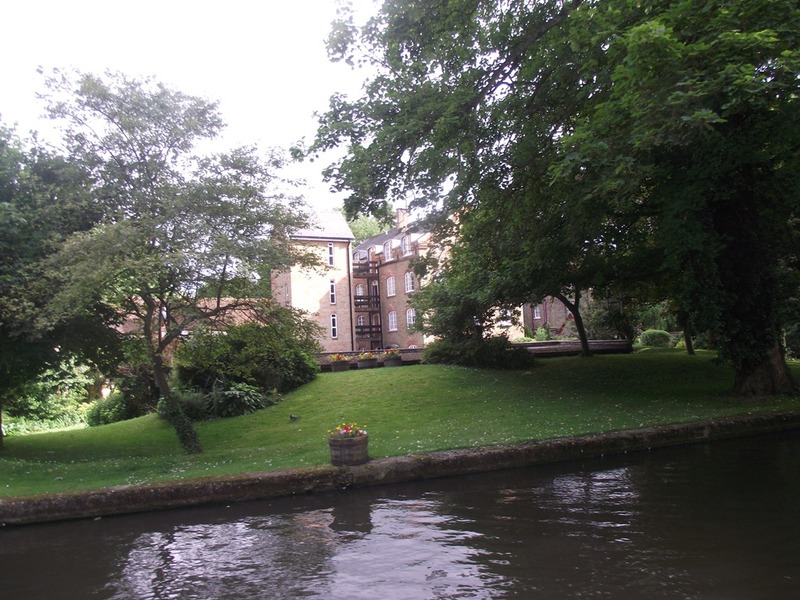 We bade farewell our friends Marjon and Geerhart at Cowley Lock where we left them to carry on as they have an appointment with Brentford Lock tomorrow at 11am, we on the other hand have an appointment with Paddington Basin. 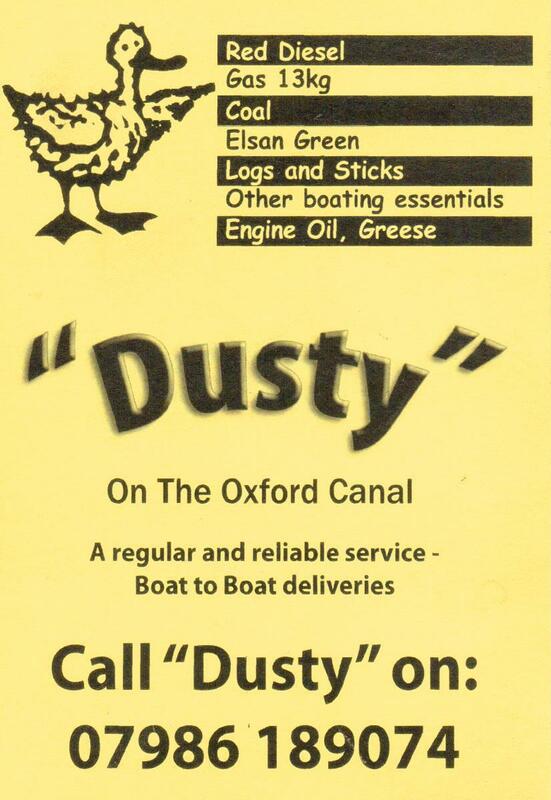 Local advice suggested we carry another mile or so and we have found a pleasant mooring opposite Packet Boat Marina. Day 15 eh! 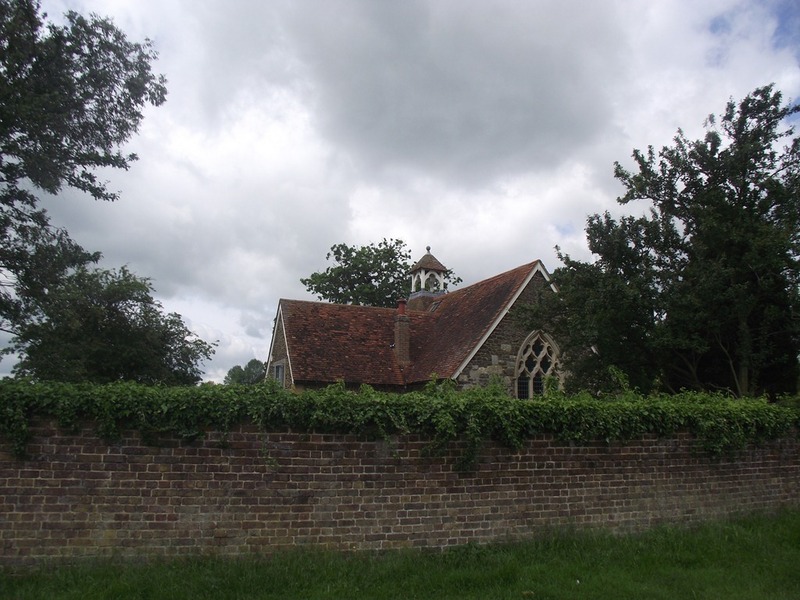 Two weeks after leaving Thrupp and we’re in Lunnon, well Greater London anyway, but to begin at the beginning. We have been travelling modest distances each day as we were finding 7 or 8 of these wide locks quite enough to handle on or own as we hadn’t found another boat to share with all week, but all that changed this morning when along came nb Dragonfly, a share-boat which we see regularly on the Oxford, with a Dutch couple on board who invited us to share the lock. We worked well together and we made good progress and arrived at Apsley for a late lunch and a visit to the conveniently sited Sainsbury’s store which has 24hr visitor moorings next to it. Suitably fed and provisioned we pressed on through the pretty valley of the River Gade which crosses and re-crosses the canal and at times is the canal. 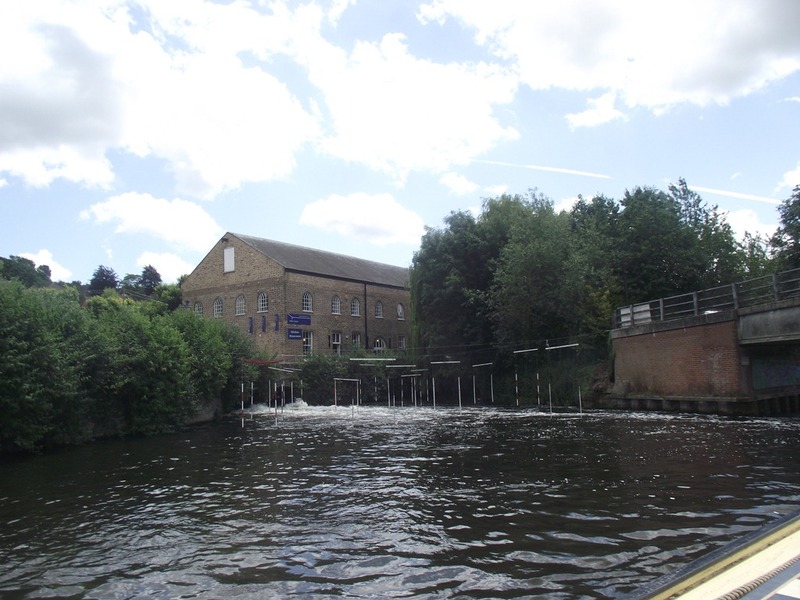 At one point the river continues straight ahead over a weir and the canal veers sharply right. The railway inevitably follows us and we knew we were getting near London when we passed under the M25 but by six o’clock Joy was feeling exhausted so we decided to stop in Cassiobury Park, but our friends wanted to go on a little further to get some shopping at Tesco. 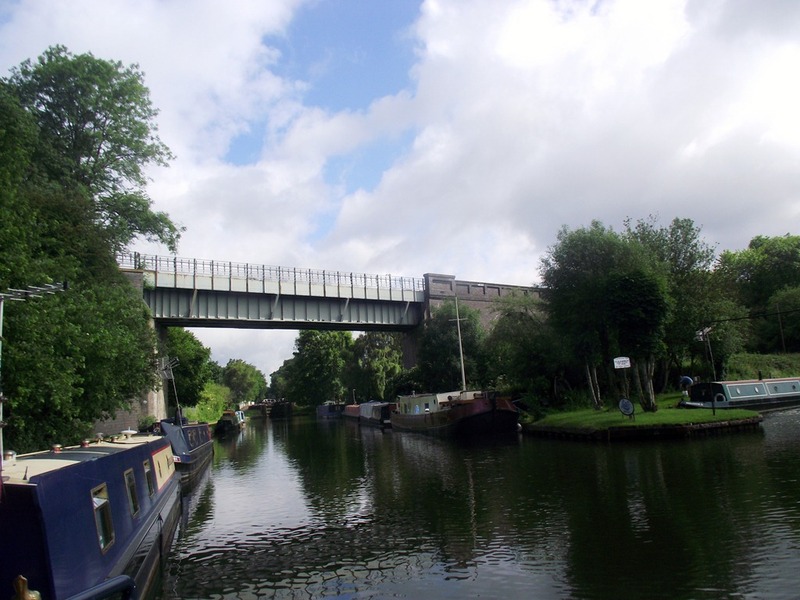 I decided to go on with them, single handed, while Joy rested and two locks later we found ourselves passing under the Underground, which is actually over-ground here as the Metropolitan Line serves Watford. 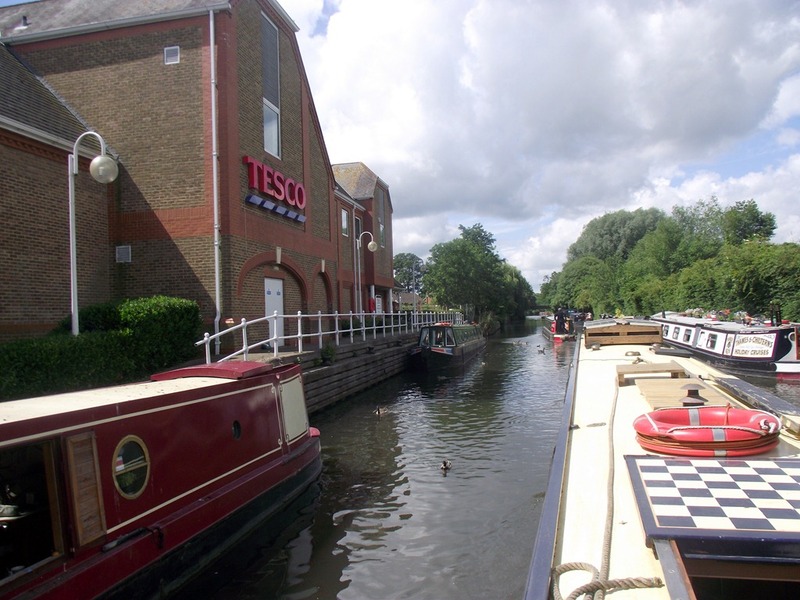 We found a space for the two boats here opposite Bridgewater Basin (and also found that this Tesco was mythical! Being misplaced on their map.) 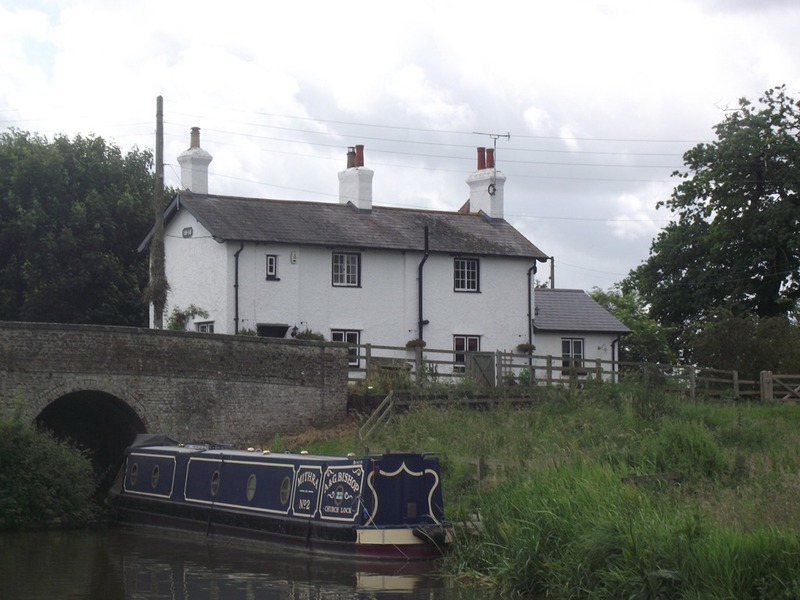 We spent a quite night here untroubled by the Tube trains, either they stopped running or we were just exhausted I’m not sure, we had covered 11 miles and 25 locks today! As the tabloids would say… but when I was making my early morning brew it was raining so we didn’t hurry our departure. 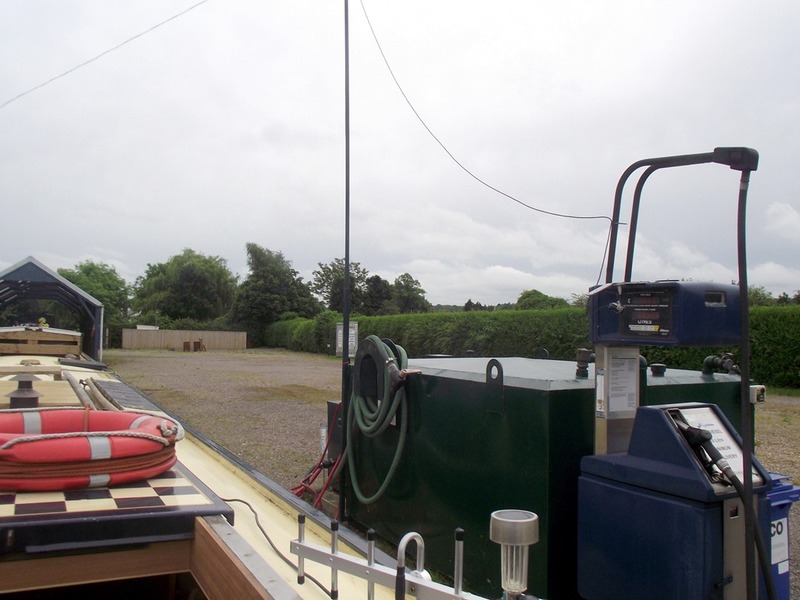 We had been told to expect the pound we were moored on to drop, but we were fine, but after the next lock the water was so low it was touch and go at some points. As we reached the lock two BW guys rolled up to let some water down from Cowroast and after that we had no more problems and as the day wore on it got progressively hotter and hotter, by the time we got to Berkhamsted I was in need of a shower to cool off. 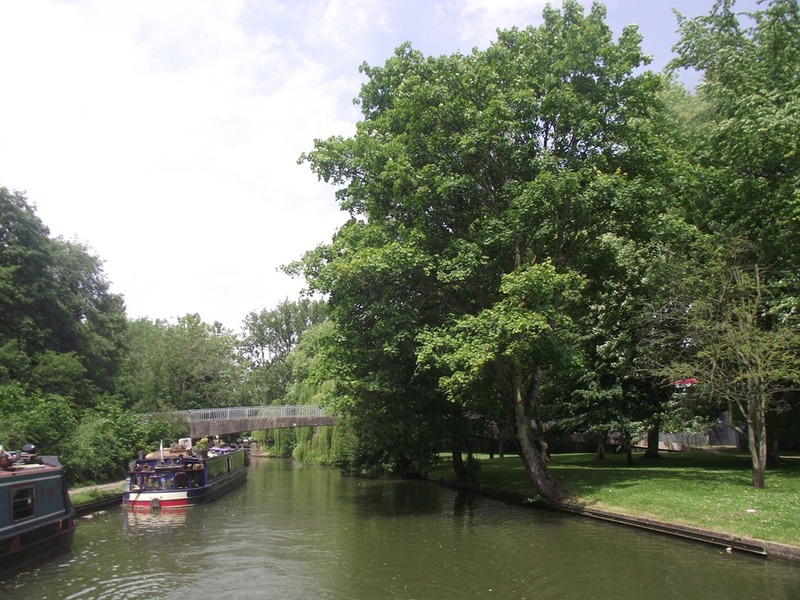 We were very impressed with Berkhamsted (Berko to boaters)with its well kept parks along the canal. 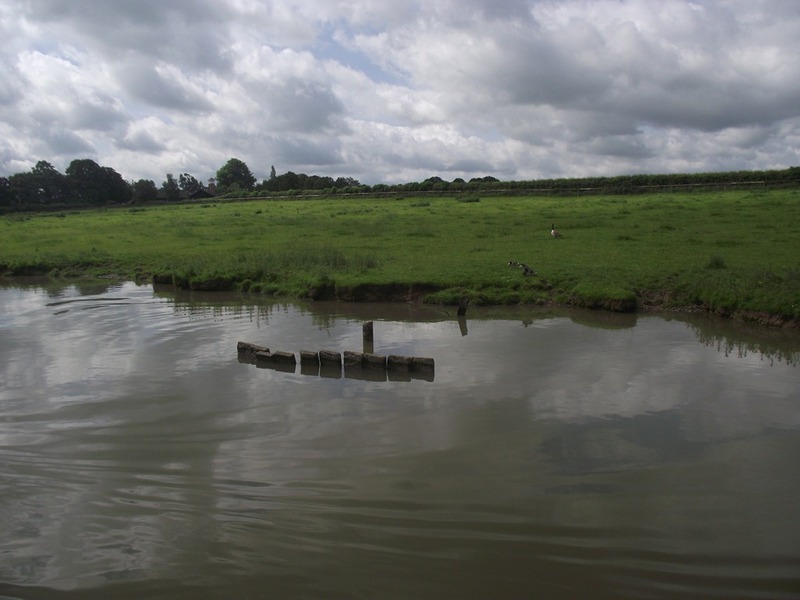 The BW guys warned that there was a problem with one of the locks, named ‘Gas 2’ after the once adjacent gas works, part of the timber baulk protecting the cill had broken away and we needed to keep well out of its way. We stopped outside Waitrose were we took lunch and bought some groceries, “Our prices on branded grocery products are now identical to Tesco’s. (Excluding promotions)” crowed their advertisements, but we found their selection poor and shelves empty of stock in places. This was not due to staff shortages, we’ve never seen so many in store and a man in a booth to check car park tickets to make sure you don’t overstay! After our lunch we moved out of the town centre, past the station and the totem pole (yes really) and into a pleasant residential area, where we are moored opposite this interesting house which has the look of a converted warehouse which has had and extra story added, and in the adjacent workshop someone is building a wooden boat. 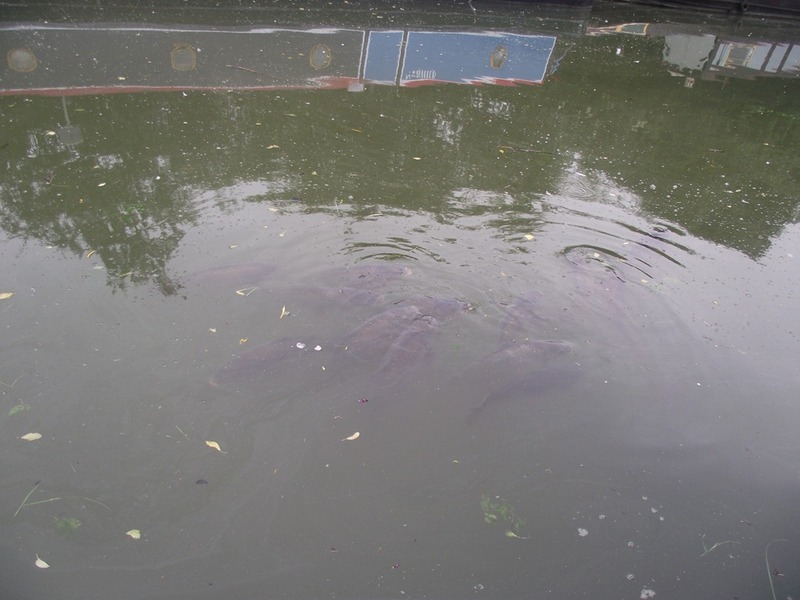 We woke this morning to hear several loud ‘plops’ in the water outside the hatch, and after checking Catty was on board found it was several large fish feeding on the surface, You might just see them in the picture. We chose last night’s mooring to be in sight Bridge 132 so that we could easily see if we could share the next lock(s) with another boat. Good plan in theory but this morning we awoke to see one going past before we were up and dressed, then, of course no more! So we resolved to head off alone and found the lock, not only full, but the top gates open (to be fair they do have a tendency to swing back open) of course this meant we would have to empty each lock all the way up the flight, unless we met a boat travelling in the opposite direction. 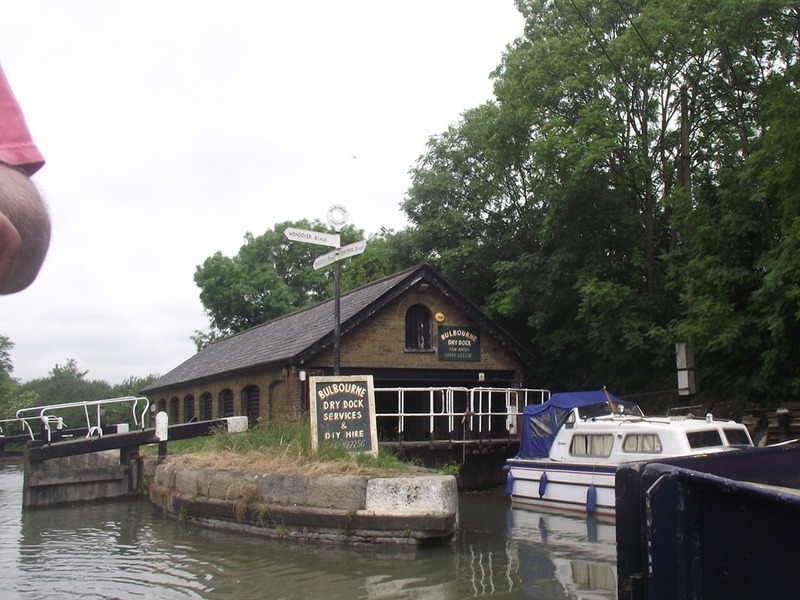 However, after passing Startops End reservoir, we found the next lock empty and ready for us; our mystification was soon dispelled as we saw there was a volunteer lock-keeper making the locks ready for us! This was a fantastic help and we soon were near the top and another boat was coming down so we didn’t even need to shut the top gates. 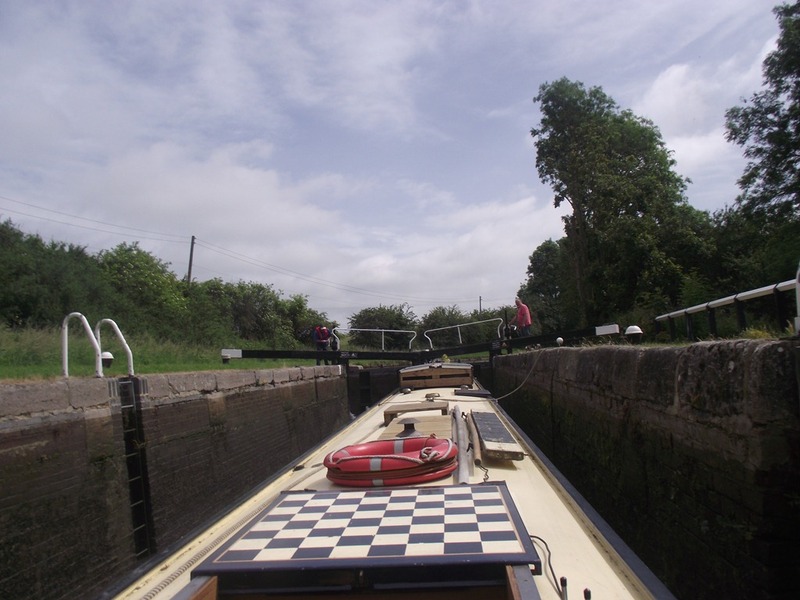 Even so, after five locks Joy was finding the concentration of taking the boat into the locks quite exhausting (a common problem in TIA recovery) so I was able to do the last few with just the lockie’s help, what a a blessing he was! 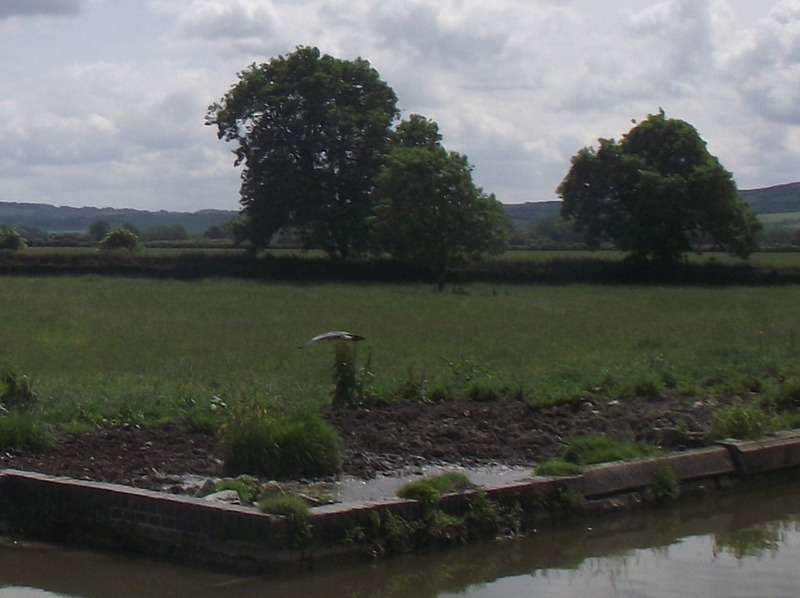 We left him with our goodbyes and thanks at Bulborne Junction where the Wendover arm joins. We had an early lunch-stop beside the Grand Junction Arms but were thwarted in getting a postprandial drink as it was not yet 12 noon and the pub was still closed! We didn’t bother to wait and so pressed on through Tring Cutting. I couldn’t help thinking of how much man-power must have been needed to dig the mile and a half, apparently it took almost five years to complete, being thirty feet deep at its maximum depth. 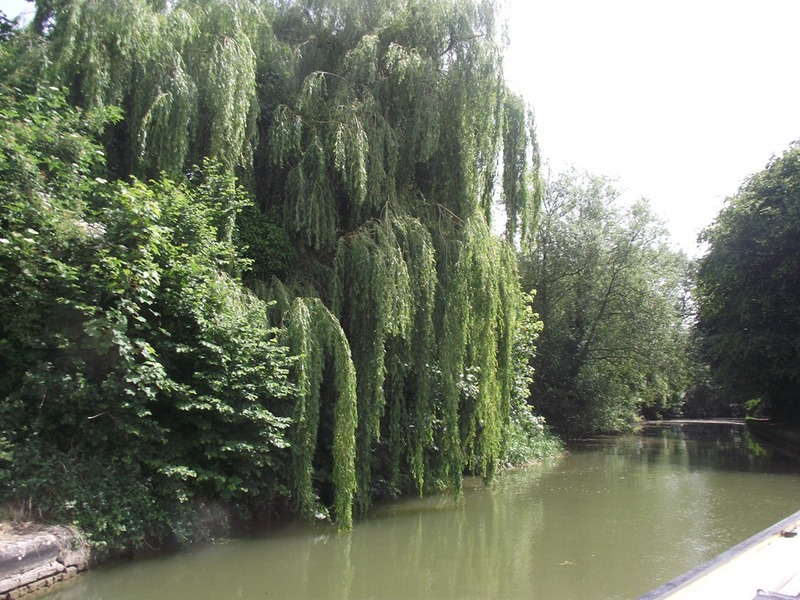 At the end of the cutting is a bridge were you are just a five minute walk from Tring railway station. Just a mile further along the summit pound and we were at Cowroast Marina (now owned by BWML) where we did the necessary to empty the toilet tank. Just £12 for those to whom these things are important, don’t you just love the little camera for the office to read the diesel pump! To quote ‘The Scaffold’ song “Today’s Monday, today’s Monday, Monday is washing day. Is everybody happy? You bet your life we are!” Except it’s Tuesday! 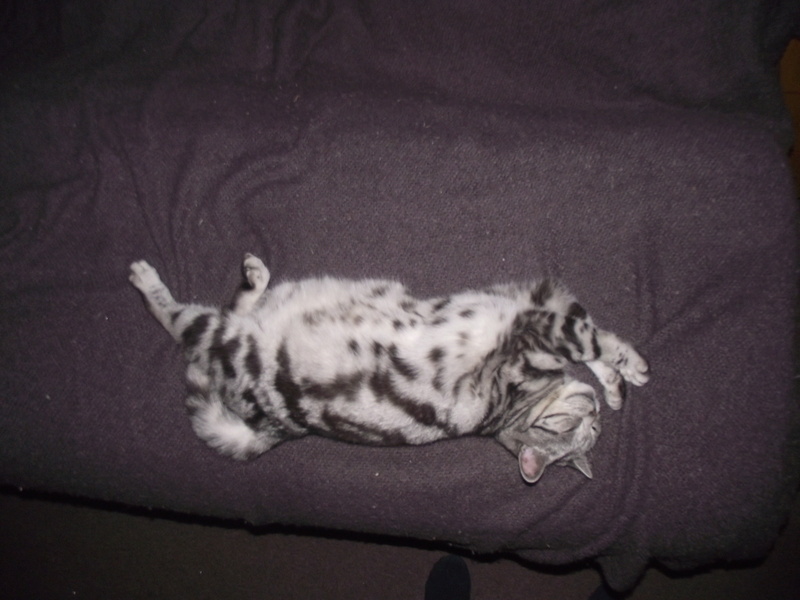 It’s a tough life being a boat cat! OK, it might not be Monday, but it was washing day, we fired up the trusty Kippor generator and did two loads of washing, I did feel guilty about disturbing the peace of this rural spot but the express trains flashing past every two minutes, it seemed, were doing that anyway. I pegged the first lot out to dry, whilst we did the second load and when that was done, decided to set of and tackle the first of the Marsworth locks. As I was preparing the first lock Joy shouted, “Another boat coming” so I opened both gates only to find it was one of the Grebe Trip Boats, a widebeam, so we let them go first with their party of school children. In return their crew helped us prepare the lock. I was just going to open the gate again when another of their boats hove into sight, I wasn’t feeling so charitable this time so went on in and soon found that we had their entire contingent of passengers had disembarked and we had them as an audience as we locked through! 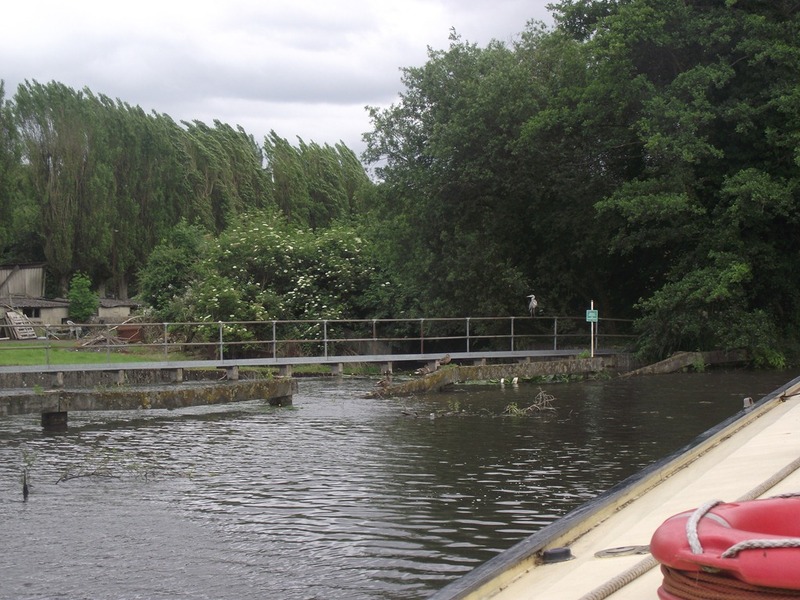 However their crew had made the next lock ready for us too and we were soon through and on our way. We stopped by bridge 130 and put the second load of washing out to dry, for which I got a resounding cheer from the ‘ladies’ on Grebe’s Trip Boat. After this we ambled over the bridge for lunch at the admirable Red Lion (See Google Maps)where I enjoyed a pint of London Pride and Joy a Weston’s Scrumpy. I had a Ploughmans Lunch, with a nice piece of Farmhouse Cheddar while ‘herself’ settled for Breaded Mushrooms. 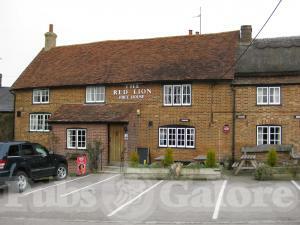 This was a real traditional pub just as I remember them the 60s & 70s, long may it continue. Joy found the climb over the humpback bridge a bit much though, we have to remember it’s only 6 weeks since she had her TIA, but after being fortified by lunch (and a pint of water on arrival!) she felt much better. In the evening we had more visitors, Joy’s niece Chris & her son Thomas, dad Peter being committed to a school governors meeting. We gave them a meal and caught up with their news and passed a pleasant couple of hours before they had to leave, as Thomas had school to go to and bedtime beckoned for him and us both! 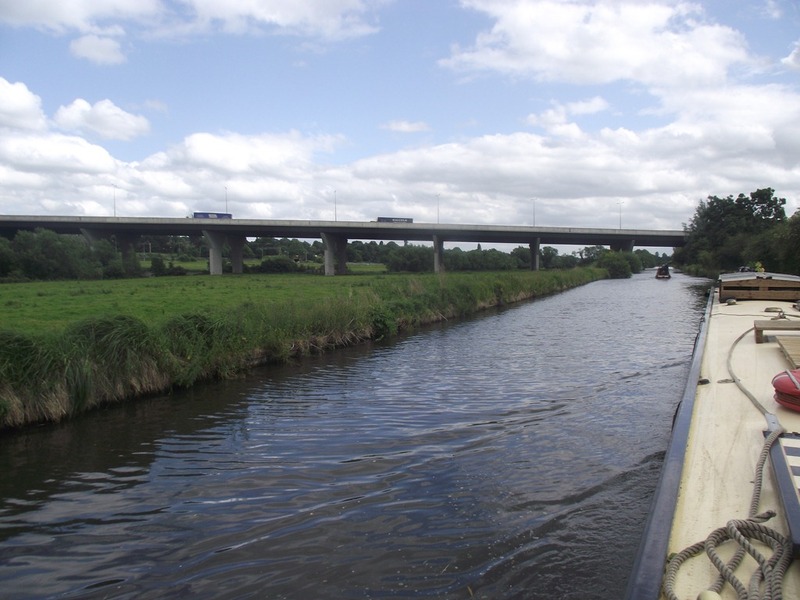 It was back to cruising today, as we set off toward Grove Lock passing the industrial estate to our left where, Lancer Boss, a forklift truck company I once worked for was based, in Grovebury Road, no longer there of course, but Boss Road remains! We did well, covering more distance than we expected, locking up alone through Church Lock, Slapton Lock, Horton Lock, the 2 Ivinghoe Locks and the 3 Seabrook Locks, meeting only a few boats coming the other way. We thought that was quite enough and took a late lunch at about 3pm and finished early. We are moored up just short of Marsworth bottom lock which would be a beautiful quiet spot in the country if it wasn’t for the East Coast Mainline running alongside! Putting the piling to good use! 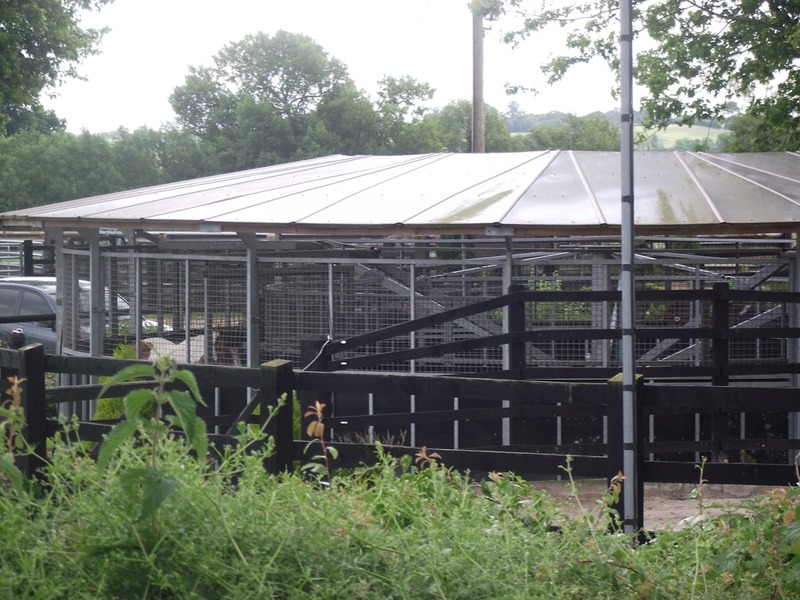 Is this some kind of gym for horses? 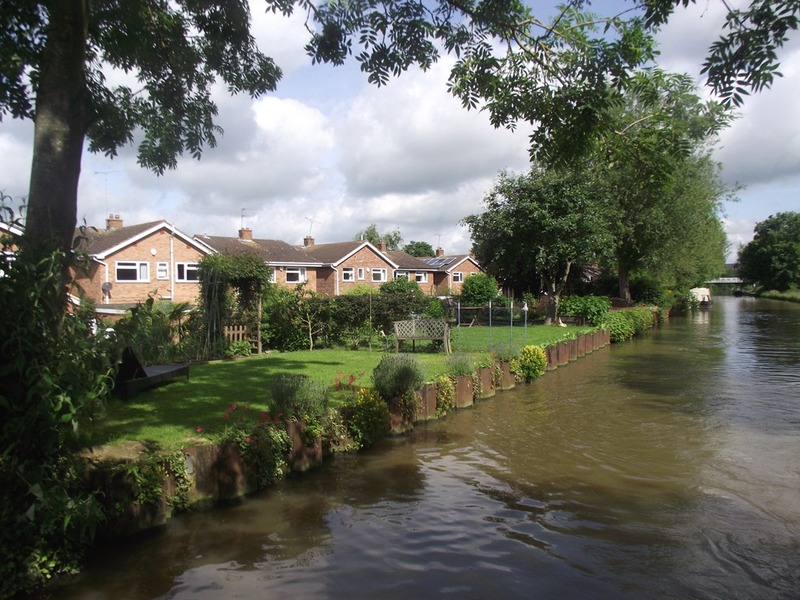 As the weather forecast for Sunday was not encouraging, with rain and strong winds we decided to make it another rest day, and made arrangements to meet up with Sue, whom we met at Thrupp, just before we started our cruise. Her home is quite near Leighton Buzzard so she drove over after lunch and shared tea, chat and cake. 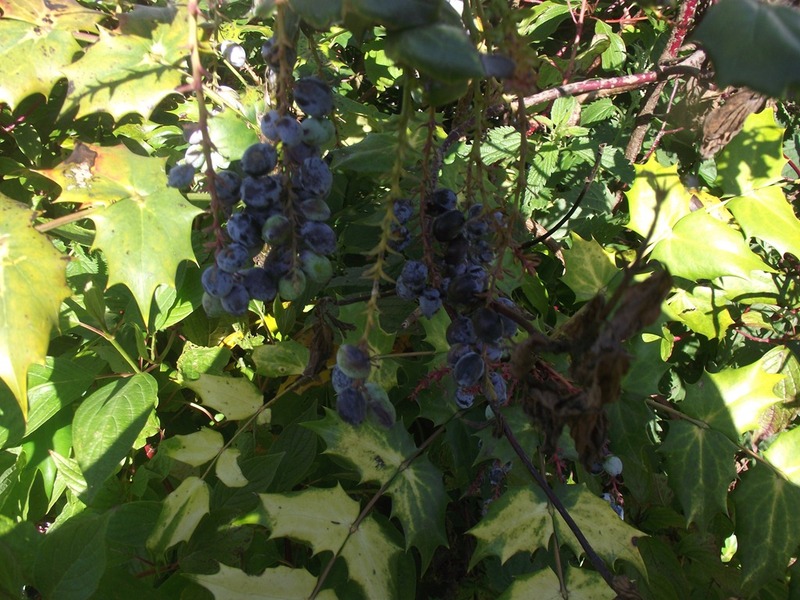 A little puzzle for the gardeners among you, what plant was growing beside our mooring, my best guess is Mahonia, or Oregon Grape, but what do I know? So another day, moored up by Tesco’s, Vimy Road. 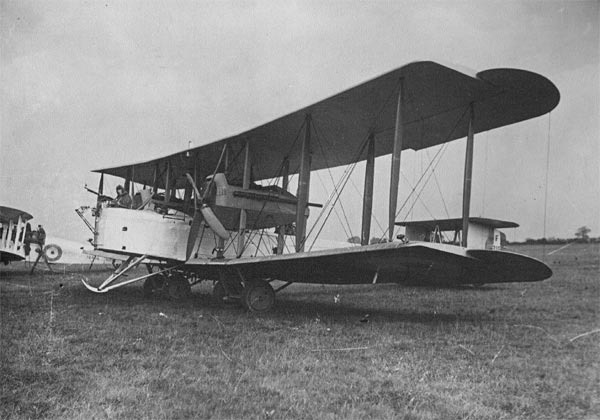 A brass plaque told us that the store is built on the site of the factory where Morgan & Co built the Vickers Vimy a twin-engine biplane heavy bomber, during WW I. Hence the road name & the biplane weather vane on top of the store. 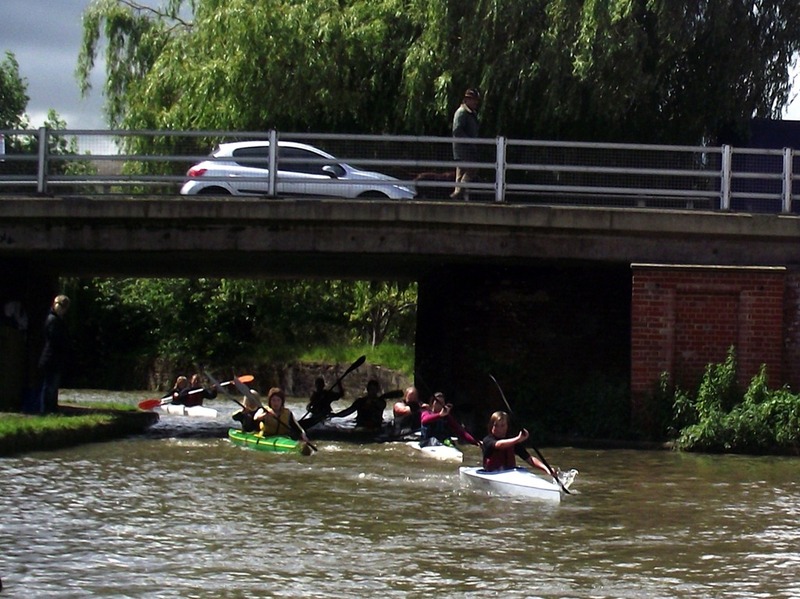 During the day we were entertained by dozens of canoeists taking part in some kind of competition and a family of moorhens whose parents competed with the ducks & swans who we fed our stale bread to, and took the morsels back to their chicks in their nest opposite our side hatch. See the video below, excuse the wobbly camera shots! Mum & Dad Moorhen looking after their chicks.